Yesterday, I hit an interesting milestone that I have ‘meandered with intent’ towards for several years. I reached 9.9 faction standing for the Minmatar Republic. It’s ME20 as well, so that’s pretty cool. 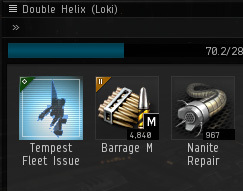 And the tags I needed to hand over only cost me 5 million ISK! Almost Free Stuff? In MY EVE? This is not just for battleships either. I have previously tooted my horn for faction cruiser and faction frigate BPCs as well. The reason I’m even mentioning it, even though it is documented online, is that every time I do hit one of these thresholds, someone I happen to be talking to at the time has no idea that these kinds of offers exist. So, for the sake of further exposure, I’ll explain a bit about it here. Even though in the above-linked article, it mentions that skills count towards the standings requirement, historically, these was not the case – at least it wasn’t when I got my cruisers, so I am going to err on the side of caution and speculate based on my own personal experience that skills don’t count. I’m happy to change this text if someone can confirm that they do now count, however – I’m not here to misinform! Once you have these standings, you need to buy 30 Silver, Gold, or Diamond tags for the frigate, cruiser and battleship offers respectively. For the Minmatar ships, you need to fly on over (with the tags in your cargohold) to the Hjoramold gate in Barkrik. The locations of the agents for other factions are also listed in the article I linked to, above. I’m not sure what tags are needed for some of the factions’ ships, and the information is sorely lacking on the EVElopedia article. Perhaps someone in-the-know could add it? So there we have it. Hopefully the information will be useful to somebody someday! So THAT’s how you get all those SFIs? Unless this has changed, this is a one time thing. You aren’t able to farm the BPC’s. The same “colour” tags are required for each of the other Empire faction reward agents. Its just the npc type changes to the racial enemy, for example the Gallente reward agents ask for Serpentis (gold, silver, diamond) tags. Congratulation, pilot. You do our Republic proud.